No, it's not a typo, the boys are sure showing more of an interest in shooting and hunting so I figured I would fuel the fire a bit. 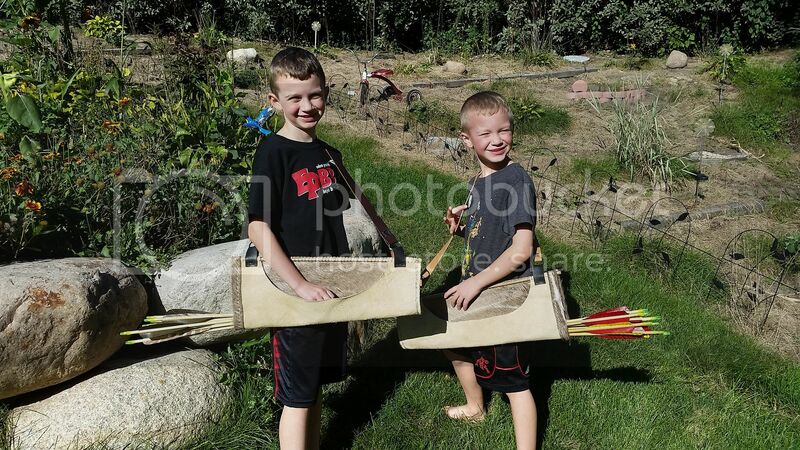 Last weekend I took the time to make them each their own set of arrows and a new quiver for each of them. 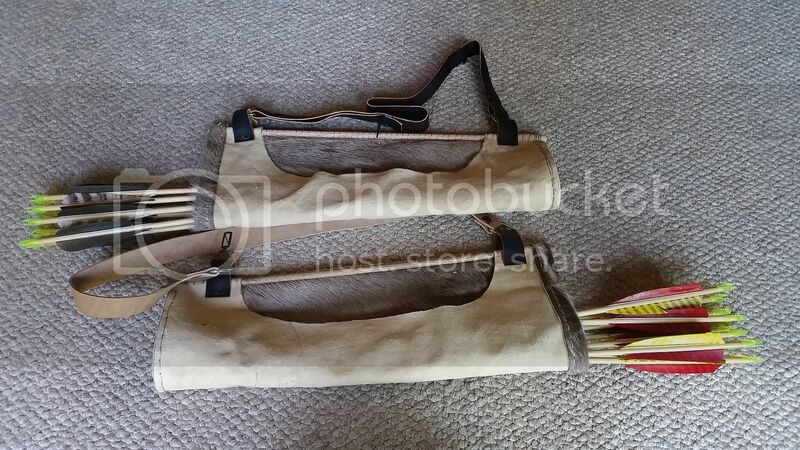 The hide for the quivers came from an old tanned Kudu that my wifes aunt shot on a safari many years ago. Yes, those are sweet! More action photos please.